The Morning Glory Cloud video footage and images here are from Baddog Productions Australia who have recently produced a documentary on the Morning Glory Cloud. Dawn over the Gulf during the latter part of the dry season and if you're lucky the atmosphere will put on for you one of it's rarest and most spectacular displays....the Morning Glory Cloud, one of the world's most extraordinary meteorological phenomenon. Up to two kilometres high stretching from horizon to horizon this is a shockwave in the atmosphere of immense proportions which now attracts glider and hang glider pilots who ride it just as a surfboard rider does on the ocean. 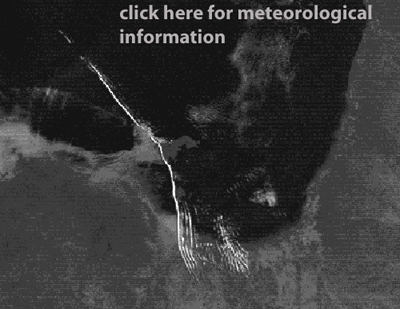 This satellite image shows the Morning Glory appearing between Karumba and Burketown with a number of waves forming. 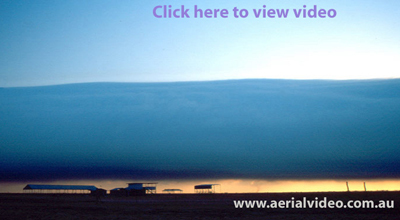 Here is Morning Glory Cloud meteorological information including synoptic charts, computer modeling, photos and video footage which demonstrate the weather patterns that accompany the Morning Glory Clouds. 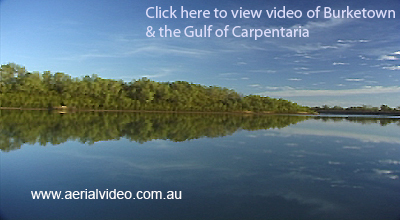 Here is tourist information on Burketown. Birri Resort: On Mornington Island for fishing and relaxing. Lawn Hill Gorge: A stunning oasis with spring fed creeks and waterfalls...fabulous swimming and camping!